Namaste(ನಮಸ್ತೆ/ನಮಸ್ಕಾರ) pronounced /ˈnɑːməsteɪ/ is a customary greeting when individuals meet, and a valediction upon their parting in India. Namaste is both a physical gesture and a spoken spiritual salutation. The gesture can also be performed wordlessly and carries the same meaning, which is usually the case while parting. It is commonly accompanied by a slight bow. It is a non-contact form of respectful greeting and can be used universally while meeting a person of different gender, age or social status. The gesture Namaste represents the belief that there is a Divine spark within each one of us. The gesture is an acknowledgment of the soul in one by the soul in another. Derived from Sanskrit words namah and te, it literally means “I bow to you” i.e. the Spirit in me honors/bows to the Spirit in you .It has a spiritual significance of negating or reducing one’s ego in the presence of another. One more interpretation is “I greet that place where you and I are one”. Namaste could be just a casual or formal greeting, a cultural convention or an act of worship. During prayers, Hindus not only do namaste but also bow and close their eyes, as it were, to look into the inner spirit. Also, when the hand position is higher, it usually means reverence and/or worship. It is also used during meditation to go deeper inside the heart chakra. Namaste has many different interpretations, no matter which interpretation you choose you should think of it as a divine blessing that honors sacredness and equality in everyone. Although often used to greet others, the meaning behind Namaste is beautiful and whichever meaning you connect with it brings us all to one place where we all are divine,pure and one. I had some idea already of the meaning, but fascinating post to learn even more. Thanks for sharing. very informative post by you..thanks for bringing our culture and the meaning behind it in light… as without knowing the reason its not worth following any ritual in any religion. And namaste to you too.. how are you..
What a beautiful greeting. I like the idea that in each of us is a spark of divinity. We all are part of God’s image. Thank you! Namaste is a great word. Right,! let me dispute on this the literal meaning of it. It is not a single word, it is a Sanskrit sandhi of two words “namah’ ” and “te”. They simply mean “greating/salute” and “you”. That’s all, literally. But poetically you can assign “bow to you”, “heil you”, depending on the cultural background of the translator who is using it. I specifically wanted to mention this because “bow to you” translation got us into trouble thi before, for the translation of “namaste”‘s synonym “vande” was translated that way. 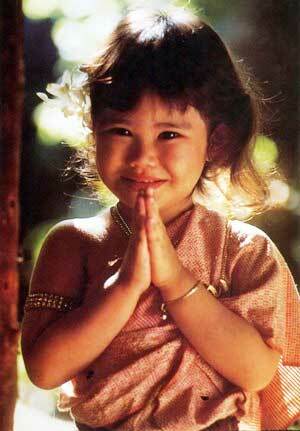 Namaste is beautiful gesture, a deep meaning. thank you for this post. I always liked this tradition. 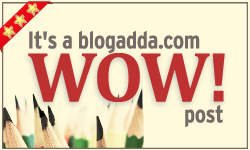 I always read that in some of the commenters in my blog. Now I know what it means, thanks to you. Namaste, and where have you been for so long madam? hoping all is well! I love learning the meanings behind common greetings around the world. Cool stuff. Great post keeping the Indian culture you have written this post but great work.